Available on Guerolito Album Sampler and 2 other releases. 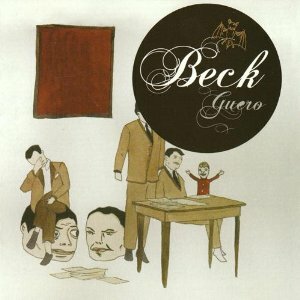 "Missing" is the third of Beck's Brazilian trilogy of songs, along with "Deadweight" and "Tropicalia." Beck loves Brazil, he listens to its music, he writes songs about it, and even takes night flights there. This article explores Beck's inspiration. Beck talked briefly about the recording of this song to XFM in 2005. He noted that it started with a Brazilian loop of music, and was built up from there by him and the Dust Brothers. Also he liked how they recorded a "whole orchestra, pristene, state of the art" but then came back to the studio and put it through a "hundred dollar reverb box that made it sound like it was going through a can of tuna." Putting aside that the different emotions can be related, I think the chorus sums up this imperfection. The chorus, "Something always missing / Always someone missing something" is a clever and wonderful way of saying nothing is ever perfect. There's all these emotions and feelings but sometimes something is missing which can tie them together. A slightly early version of Guero leaked to the web a few months prior to its release. Most of the songs were the same, but the leaked version of "Missing" was slightly extended about 10 seconds. The official release ended with Beck singing "something always missing / always someone missing something" three times. The leak had him do it four times. Beck has not attempted "Missing" on stage all that often, and I reckon it is a difficult one to pull off. Beck attempted "Missing" three times early in 2005, during some warm-up/secret shows around LA (and once in London). Then as the proper tour started, they did play "Missing " a little bit in June and July of 2005 (13 times). After those first few months though, they dropped it for good. It was not played again that year or in 2006-2007 on the Info tours. Then a few months into the Modern Guilt tour, in September 2008, "Missing" got reintroduced into the setlist. The second time was a show at the Hollywood Bowl, in which Beck performed with an orchestra conducted by his father. The setlist included many of the songs in Beck's career that feature strings, and "Missing" is one of those. The success of the night led to Beck including "Missing" around 10 more times after that show (albeit without orchestra) in September/October. They also did it 2 times in Japan in March 2009. Originally reported as called "Brazilica," Beck changed the title to "Missing" before release. There is a Ramsey Lewis song from the 70s called "Brazilica." That funky bass riff on "Debra" was sampled/inspired by a different Ramsey Lewis record. "Still Missing" is a remix of this song. So is "Heaven Hammer."